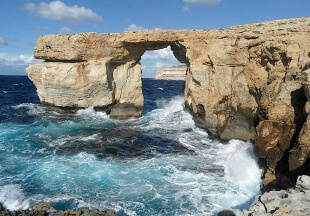 We would highly recommend the Hotel San Andrea in Gozo. It was very quiet and relaxing – just what we wanted. We knew the restaurant was award winning, and were really pleased with the food served. We used the local fresh supply of fruit and veg delivered each day by minivan. It was great for walking – right on the beach. We bought a ticket for £12 which enabled us to use all the local public transport. Many thanks. Southwell Travel Show- now the biggest in the East Midlands! Why Do People Want to Travel to New Zealand? Wendy Wu – Asia Sale Now On! A beautifully organised cruise; professional, helpful & friendly crew; sensitive to needs of passengers. Rhine Discovery Cruise (Viking) Extremely helpful & knowledgeable. A beautifully organised cruise; professional, helpful & friendly crew; sensitive to needs of passengers. Nice indoor and outdoor pools. Apollo Hotel – Jersey Good food. Nice indoor and outdoor pools. Good sitting areas. Highly recommended. Traders in Kuala Lumpur was perfectly situated and the lobby was out of this world - a crystal wonderland. Traders in Kuala Lumpur was perfectly situated and the lobby was out of this world – a crystal wonderland. All staff were helpful and knowledgeable. All arrangements worked well. Suggested hotels and trips were very good. Singapore & Australia All staff were helpful and knowledgeable. All arrangements worked well. Suggested hotels and trips were very good. An absolutely splendid, typically Moroccan hotel ... exceeded expectations ... thank you for your personal recommendations. Palais Seban, Morocco An absolutely splendid, typically Moroccan hotel … exceeded expectations … thank you for your personal recommendations. I was very pleased with the holiday to Bordeaux you booked for me. Hotel was just what I wanted, and I was pleasantly surprised by Monarch airlines. There was plenty of room and the service was fine. My husband is disabled, so I needed to book my holiday with an agent who would arrange all the extra details. I never expected to be able to holiday in Venice with a wheelchair - but thanks to your excellent staff, we did! Hotel was splendid. Staff were professionally friendly. Great views from the dining room and a woodland walk to the rear of the hotel. Food was good with 'puddings' and pastries particularly memorable. Bus every 20 min from outside the hotel into the resort centre. Robert obviously understood the type of holiday we were after and endeavored to meet all our requirements of a complex trip. Organisation superb. Some super hotels - just the type we wanted. Australia Robert obviously understood the type of holiday we were after and endeavored to meet all our requirements of a complex trip. Organisation superb. Some super hotels – just the type we wanted. We were delighted. Robert looked afer us. Extremely helpful, thorough and a very nice person. Thank you! New York We were delighted. Robert looked afer us. Extremely helpful, thorough and a very nice person. Thank you!